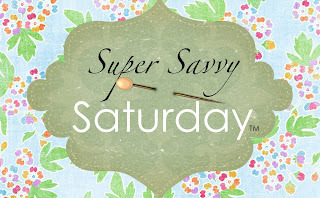 Welcome back to Savvy Saturday! Today's project is a fun one that I originally saw HERE. It's a creative way to use silk flowers, ribbon, and fabric to create a cute wreath. It doesn't take much ribbon or fabric to make the flowers so it's a great way to use up scraps. Use different color combinations of ribbon and flowers for different holidays; the possibilities are endless! Get yourself a silk flower. I got mine 60% off at Michaels, then used an additional coupon. It ended up being around $0.60. and remove all the plastic parts. Put a decorative brad or button in the center to hold all the layers of petals together. I used these brads that I also bought with a coupon from Michaels. They are in the scrapbooking section typically. Next, get some scrap fabric. It doesn't need to be very thick, but you'll want it to be a decently long strip – depending on how big your flower is. You'll see what I mean in a second. Take your strip of fabric and stitch along one side. Make sure to knot the end of the string so it doesn't come out. Do this all the way up your strip. You will pull the string to gather the fabric. Do this as you go so you can see how your fabric “flower” is turning out size-wise. I didn't know how long my strip of fabric needed to be so I gathered as I went, and kept measuring it against my silk flower. Cut the ribbon, and glue it together to form the loop. Lastly, take a second kind of ribbon and cut little strips. I did mine all the way across the back of the flower, but it's not exactly necessary; you could cut them shorter and just glue them so they stick out from the top. Piece it all together like so, and glue with hot glue. Glue your flower on, and there you go! My second one turned out way better but I didn't take pictures of the process. I used zebra striped felt and a bigger flower. It's fun to try different combos! Wrap a dollar-store wreath in more ribbon of your choice (I got my ribbon from Wal Mart for less than $2 for the entire spool), glue the flowers on, and there you go! Hey, it took me all of about 10 minutes so it was worth the try! If you try this project be sure to email me at funcheaporfree@gmail.com or post pictures on our facebook wall so we can all see how you did it. Always fun to share, right?? 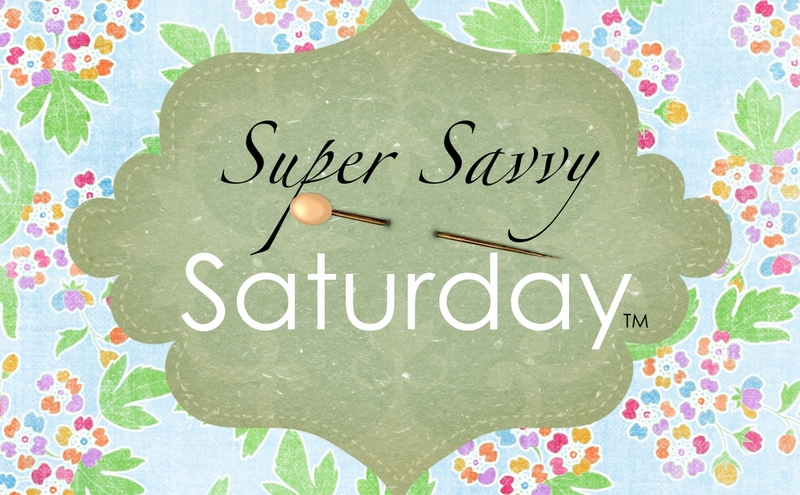 Happy Saturday, and enjoy crafting!! So cute, Jordan! I'll have to try this sometime. I like that the wreath is thinner than others I've used in the past- it looks great! Thanks! Yeah, it was the only wreath the dollar store had, but it turned out ok 🙂 Send me pictures if you try it! Definitely worth the try, I love the color combination you use. I will try this but will use another design instead of flowers since I will use it for the thanksgiving decoration.